Me and My Friends have announced their new album ‘Look Up’ the release date as December 6th via Split Shift Records. Album highlight, ‘High As The Sun’, has been released as a first taster. It’s a gorgeous sun-drenched track with a chorus that’ll keep you warm throughout winter. The band are also playing several live dates beginning later this month. 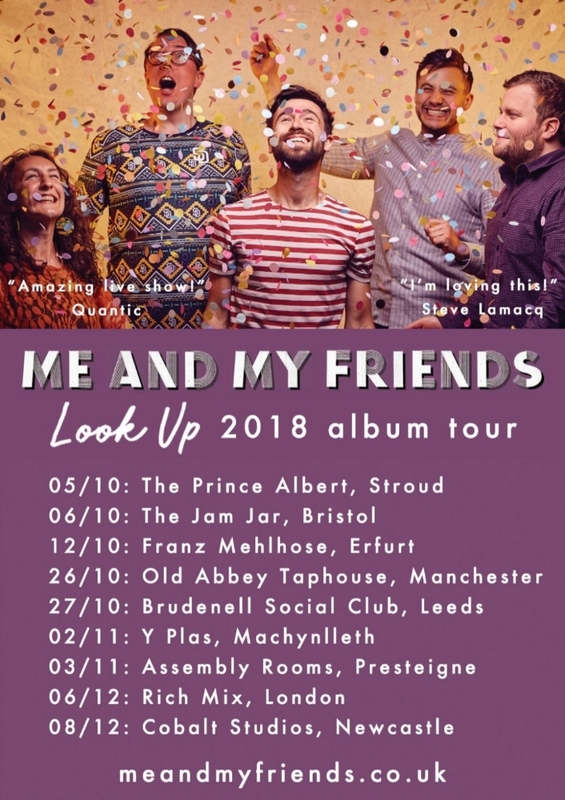 On their new album ‘Look Up’ the elegant voice and West African finger-picking guitar style of songwriter Nick Rasle is cradled by stunning vocal harmonies and the evocative combination of cello and clarinet, all underpinned by a rhythm section with a deep sense of groove. ‘Look Up’ draws heavily on early 70s acoustic soul, as well as the modal ‘Ethiopiques’ of Mulatu Astatke and the minimalism of the Penguin Café Orchestra.